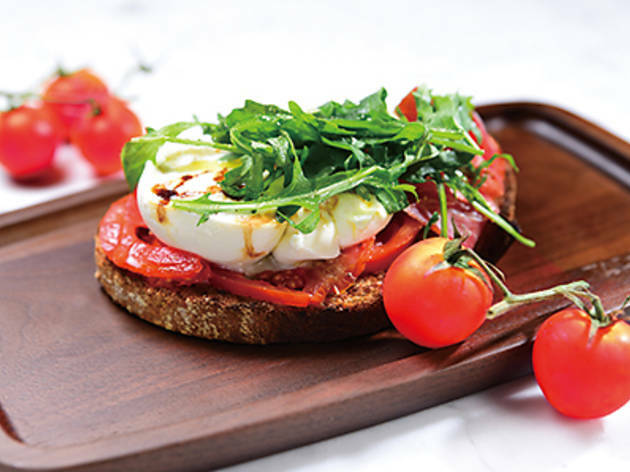 The simplicity of Tartine, tucked away in Lyndhurst Terrace’s latest commercial development, The Mood, is refreshing compared to the spate of highly stylised food outlets that have been popping up of late. It serves pretty much exactly what it says it does – tartine, a French open-faced sandwich. Conceptualised by chef Philippe Orrico and Arthur de Villpin, founder of the wine label Pont des Arts, the small bistro is simply decorated, with terrace dining on the upper level. While the dinner menu has slightly more variety and features appetisers like duck foie gras ($128) and tuna carpaccio ($98), as well as pasta dishes, we pop in for lunch to take advantage of the airy atmosphere afforded by the floor to ceiling windows. The set is reasonably priced, $148 for three courses (starter, a choice of tartine and dessert) and tea or coffee. With memories of summer not fully dispelled, we begin with the green pea gazpacho and the quinoa salad. Not especially popular in Hong Kong, many chefs indulge in artistic license when it comes to gazpacho. Tartine’s rendition is a thin, milky liquid infused with pepper, cucumber and mint. The freshness of the ingredients stands out, even if the combination lacks any real savoury kick. The quinoa salad provides a much better taste sensation and a satisfying chew. The tartines sit on a rye sourdough slice leavened without dry yeast. 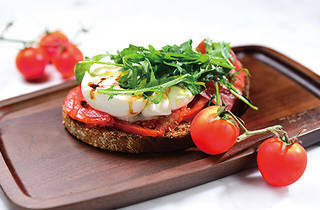 The traditional tomato and burrata comes with the tartness of the chopped tomatoes balanced by the sweet caramelised taste of balsamic vinegar and the milky flavour of the burrata. Equally good is the asparagus and Leoncini Parma ham, which sits atop a thin ricotta cheese spread. The ham has a mild taste and an unexpected, and agreeable, grainy texture.